After early data has shown a 43% rise in the number of drug-related deaths between January and October 2018 in Glasgow, it is said that street drugs being sold as Valium have been the cause. Glasgow has seen a rise in a drug called “street blues”. 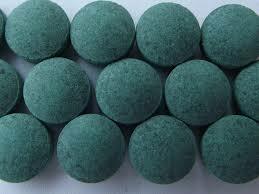 The drug, which is being sold is large quantities, is “sold for pennies” and is still unknown what its ingredients are. As there is no regulation on what substances such as this contain, substitute chemicals which are normally highly dangerous are used a cheaper alternative when making the blue food dyed tablets. Due to this, warnings have been issued to known drug users in order to make them aware of the danger the drug holds and how taking it can lead to fatal circumstances. Experts have also stressed the serious implications that can happen if “street blues” are combined with other recreational substances such as heroin or alcohol. Due to this increase is drug-related deaths, there has also been an increase in the use of naloxone. Naloxone is an antidote that is used to reverse the effects of an opiate overdose. This shows the obvious drug abuse that is taking place in the UK and with the use of “street blues” continuing it isn’t set to stop anytime soon. What do I do if I’m addicted to a drug? If you or someone you know is addicted to a drug, there is help available. Here at New Leaf Recovery, we offer support and rehabilitation to anyone suffering from drug addiction. For more information on how we can help you with our drug addiction rehab, contact us today.